In his memoirs, Yehudi Menuhin wrote: ‘I could recount my entire life in terms of a dialectical argument between the Stradivarius and the Guarnerius del Gesù.’  He felt he was basically faithful to Strads but had dalliances with ‘del Gesù’ violins, and compared the Strad sonority to gold while the Guarneri sound brought to mind ‘the red of Sainte-Chapelle stained glass’. Menuhin loved the workmanship and ‘great formal beauty’ of Strads and wrote that ‘one must rise to a Strad before it will speak from its craftsman’s soul’. By contrast, from the rougher hand of ‘del Gesù’, his choice of less good wood and his f-holes ‘obviously gouged by some rough measure of the eye’, one could infer ‘a man at once passionate and compassionate, bull and saint, a temperamental nonconformist…’. 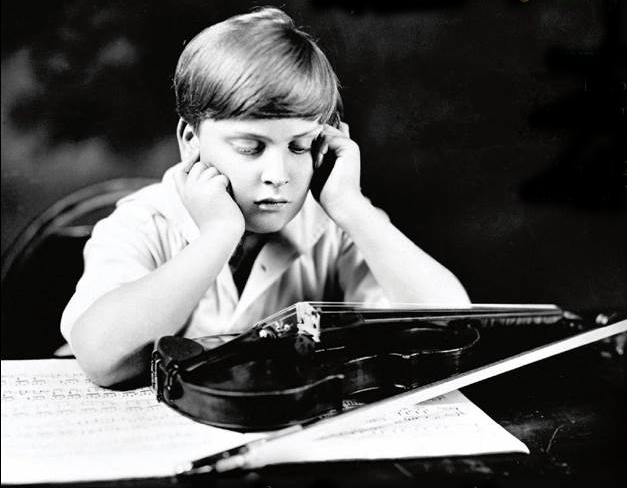 Born in New York in 1916 but raised on the West Coast, Menuhin was eight when he obtained his first decent violin. As his New York debut approached in 1924, two benefactors raised $800 to buy him a seven-eighths Milanese instrument thought then to be a Giovanni Battista Grancino. For his 1927 Paris debut, when he played the Symphonie espagnole with Paul Paray conducting, followed a week later by the Tchaikovsky concerto, he and his family selected a genuine full-sized Grancino, dated 1695, from Henri Tournier’s shop in Paris. The $3,000 bill was paid by one of his regular sponsors, Sidney Ehrman. Attending a Carnegie Hall performance of the Tchaikovsky and hearing of the violin problems, Goldman determined to buy Menuhin the best possible instrument. Given carte blanche, Menuhin tried three Strads in Emil Herrmann’s New York shop, rejecting the ‘Maximilian’ and the ‘Betts’ and settling on his first love, the 1733 ‘Prince Khevenhüller’, which cost $60,000. On January 22, 1929, Menuhin showed off his new violin to the New York press; by the end of the month he was playing the Beethoven concerto in Cleveland. On February 12, with Persinger as pianist, eight sides, two of them devoted to Bloch’s Nigun, were cut in the disused Camden, New Jersey, church that Victor used as a studio – Fats Waller made organ records there. That April, four days before his 13th birthday, Menuhin made his Berlin debut playing the Bach E major, Beethoven and Brahms concertos with Bruno Walter and the Berlin Philharmonic. In November and December he made more records on the Strad for HMV in London with accompanist Hubert Giesen, although critical attention focused on the six unaccompanied sides making up Bach’s C major Sonata. Even if the interpretation was heavily indebted to his teacher in 1929–30, Adolf Busch, the violin sounded impressive. A further three sides were made with Giesen at Liederkranz Hall, New York, on February 19, 1930, by which time Victor had been taken over by RCA. These recordings, not released as 78rpm discs, have just been published on CD by Sony – Dvořák’s G minor Slavonic Dance op. 46/8 is a small addition to the Menuhin discography. Worth mentioning, too, are the records made in London that December with Giesen, as they included the finest of his early discs, the ‘Song of the Bride’ from Rimsky-Korsakov’s The Tsar’s Bride, arranged by Sam Franko. Here for the first time the Menuhin ‘speaking’ tone was heard, a sign that he and the Strad were now fully on the same wavelength. Early in 1932 the Strad needed some routine repairs and Menuhin borrowed the 1740 Guarneri ‘del Gesù’ that had been the main instrument of Eugène Ysaÿe, who had died the previous year. We know this violin was used for the records made in Paris that May with Artur Balsam, including Ravel’s Tzigane and Tartini’s Devil’s Trill. It was probably also used for the famous Bach ‘Double’ Concerto made in Paris that June with Menuhin’s teacher George Enescu as partner and Pierre Monteux as conductor; however, it is likely that the Strad was employed for the Elgar concerto recording at Abbey Road in August with the composer conducting. 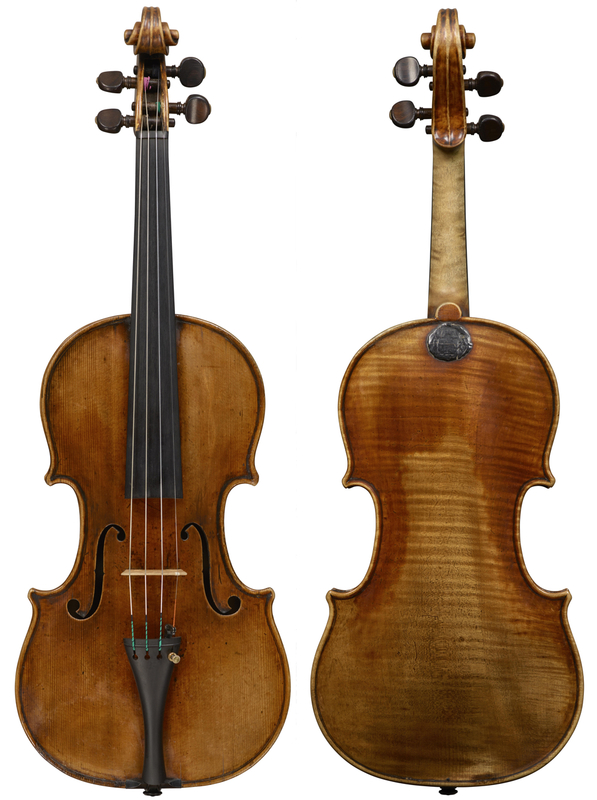 The Ysaÿe violin was provided by Emile Français, perhaps Menuhin’s best friend among the dealers. In 1935 Emile Français made a replica of the ‘Prince Khevenhüller’, which was presented to Menuhin the following January. ‘This proved such a good instrument,’ wrote the violinist’s biographer Robert Magidoff, ‘that when Menuhin uses it at times in the concert hall not even critics are aware of any difference in quality.’  The Français copy also served as a useful substitute on trips where the Strad might have been in danger. World War II caused a rupture in Menuhin’s relationship with his Strad: he gave innumerable concerts for troops and the wounded, living in American army camps and travelling in considerable discomfort in USAF and RAF planes. It seems most unlikely that he took his valuable violin on any of these trips. 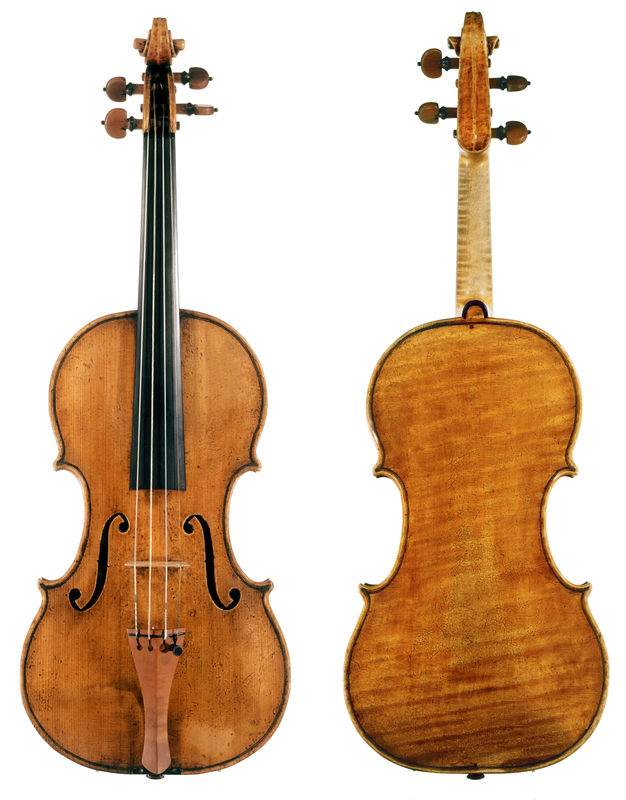 Certainly the Français Strad copy occupied half of his double case throughout the hostilities, and on his second wartime visit to Britain, in 1944, he admitted to the Evening Standard newspaper that, rather than bring the Strad with him, he had been lent a Guarneri by Hill’s of Bond Street. When he flew to newly liberated Paris soon after, he borrowed Jacques Thibaud’s 1720 Strad for his concert at the Opéra – this instrument was destroyed in the 1953 plane crash which killed Thibaud – and returned it so promptly after the last of his three concertos that, with the audience still applauding after several minutes, he had to hijack the concertmaster’s violin for his encore. Menuhin began the 1950s by buying a second Strad, the 1714 ‘Soil’, from Herrmann; for several decades he relished its penetrating sound. ‘My Khevenhüller Strad delivers a sweeter tone than my Soil Strad,’ he wrote, ‘yet does not quite match the Soil’s power to ring out above a symphony orchestra.’ He employed the ‘Prince Khevenhüller’ for many records of the 1950s and 1960s, including the Walton concerto in 1969, and the ‘Soil’ for most orchestral concerts. 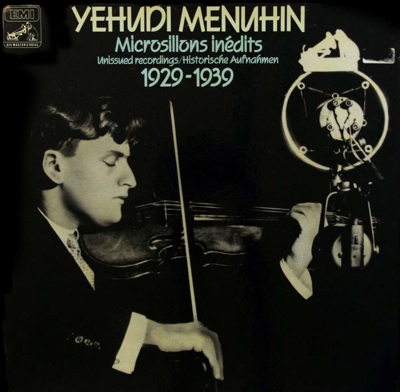 In 1986, to raise money for his new house, Menuhin sold the ‘Soil’ for about £600,000 to Itzhak Perlman. His roving eye led to another dalliance with a Guarneri ‘del Gesù’. ‘Round about my 50th birthday,’ he recalled, ‘I found myself studying Hill’s catalogue of exceptionally fine Guarneri, with an eye to those available. Kochanski’s, which I had always admired, was not, alas; but another, the Count d’Egville, belonging to a collector from Braunschweig, captured my fancy; I boarded a plane for Germany at the earliest opportunity… I borrowed the d’Egville and played it with rapture for 18 months, then returned it to its owner.’ Perhaps it is the 1735 ‘Comte d’Egville’ that we hear on his September 1966 record of Bartók’s Second Concerto with Antal Doráti. 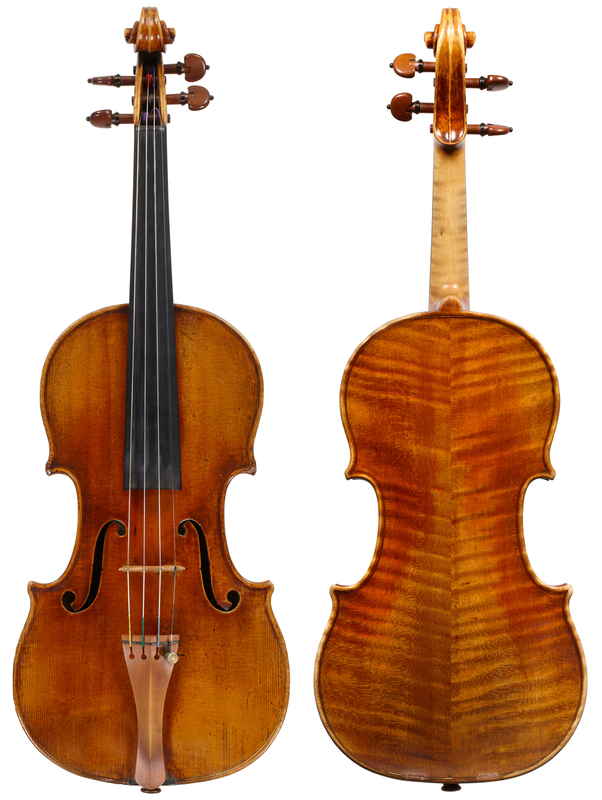 ‘In 1971, at last,’ Menuhin wrote, ‘I found a supremely beautiful Guarnerius that had belonged to a cousin of Charles Munch, Mlle Ebersholt, whose father had given it to her when she was 15 years old, in 1880; and I bought it the next year.’ Six years later he traded in this 1739 ‘del Gesù’ for the 1742 ‘Lord Wilton’, acquired from Jacques Français and retained until his death. He found this violin ideal for music such as the Brahms concerto – no doubt he played it on the 1982 film of this work with Kurt Masur. In 1954 the dying Enescu entrusted Menuhin with his Guarneri and his 1739 Santo Serafin of Venice, which had been his first good violin. Menuhin ensured that the Guarneri went back to Romania but kept the Santo Serafin for sentimental reasons. Along the way he also acquired a 1680 Giovanni Maria del Bussetto of Cremona and a 1730 Dom Nicolo Marchioni (‘Dom Nicolo Amati’). A 1961 Marino Capicchioni of Rimini was among the various new violins that he commissioned. In 1944 Menuhin was bequeathed Nathan Firestone’s Testore viola, which he later loaned to students at his school. His viola recordings included a best-selling Harold in Italy with Colin Davis, and the Bartók concerto. As the years passed, he took the viola more seriously and liked practising on it, but owned no other notable instruments. In 1968 he borrowed Peter Schidlof’s 1719 ‘Macdonald’ Stradivari viola to record Walton’s concerto. His 1980 record of the Brahms sonatas with brother-in-law Louis Kentner was made on a brand-new viola by the American luthier David Wiebe.